Such a blessing to be back with Marlon and Javier this week in Namasigue. These men are dedicated servants of Jesus Christ, and it is always a privilege to work with them. They are my brothers and my friends. Today was our last day in Namasigue, before heading to the Island of Boca tomorrow. Such a great week so far! Please pray for the 13 new brothers and sisters that have committed their lives to Christ this week in baptism! 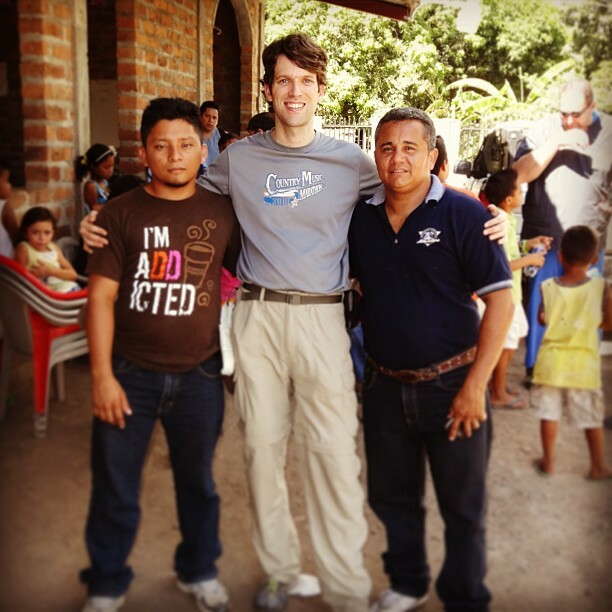 Home » Blog » Faith » Such a blessing to be back with Marlon and Javier this week in Namasigue. These men are dedicated servants of Jesus Christ, and it is always a privilege to work with them. They are my brothers and my friends. Today was our last day in Namasigue, before heading to the Island of Boca tomorrow. Such a great week so far! Please pray for the 13 new brothers and sisters that have committed their lives to Christ this week in baptism!